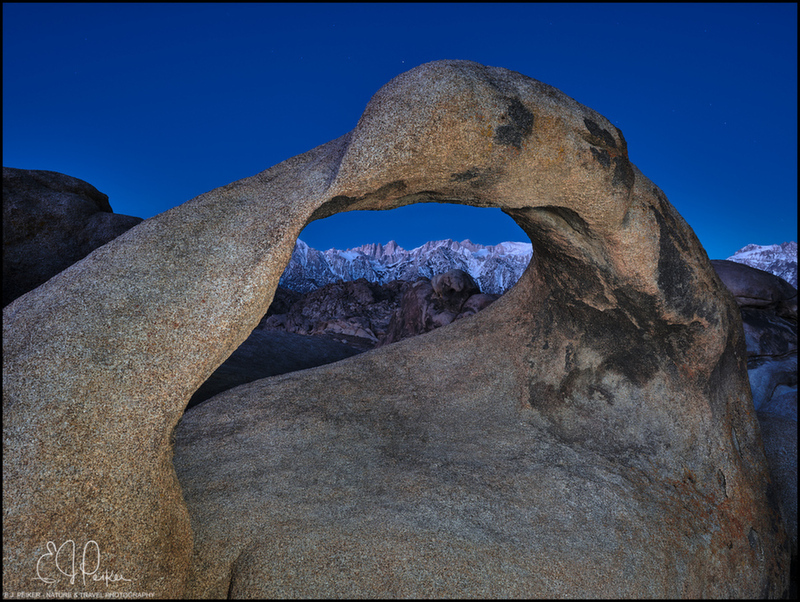 The eastern Sierra Nevada Mountains including the highest point in the 48 contiguous United States, Mount Whitney at 14,505 feet, inside the arch. Photographed about 45 minutes before sunrise in December. Some jpg banding in the sky. Did you illuminate the arch? Yes, I should have mentioned that I light painted the arch with my iPhone. So dramatic! Love the deep blues.